The world gets dangerous when we start to think about people in terms of generalizations rather than individuals. My father once told me that if you had told him as a teenager that one day he would marry a white woman, he would have told you that you were out of your mind. 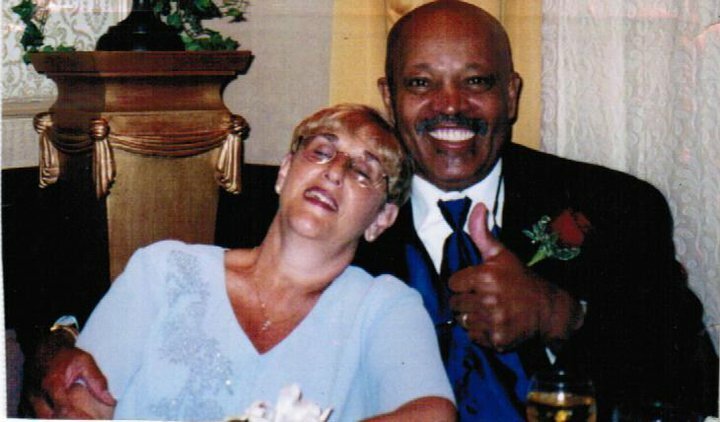 Then look at how happy his love for a “white woman” made him. My father once told me a story about something that happened to him and my mother in the mid 1970s just before I was born. My parents were driving home from somewhere in the early evening. Not quite dark yet, but getting there I believe. My dad turned to my mom and said, “I think those ladies behind us are following us.” My mom didn’t believe him and said he was just being paranoid. But as they kept driving, it became evident that there were two “old ladies” following them. My father turned down a few side streets and the car followed. So he turned into a gas station and they followed. After a few minutes of this game of cat and mouse, my mom said, “I am tired; let’s just go home.” So they drove home forgetting about the ladies. My father sat down to watch television and my mother went upstairs to wash her face and change into her pajamas. After about 10-15 minutes, there was a knock at the door. My father went to answer it, and on the front porch stood a police officer. The police officer began questioning my Dad. Had he recently driven his car anywhere? Where had he gone? How long had he been home? It is hard for many to imagine that a black man just driving in a car with a white woman can be suspicious to some people. Our media and society tell us repeatedly that racism is a thing of the past, but the reality is that it thrives now probably stronger than ever. Does that mean that #blacklivesmatter is an essential and productive rallying cry? Or that whites need to be schooled in the pitfalls of #whiteprivilege? No. I don’t think hashtags have anything to do with it. The hate will stop when we start seeing people as individuals, not as a race, a religion, a socioeconomic status, a gender, a sexuality, or even a profession. The notion that police officers are power-hungry racist pigs is just as damaging to our collective psyche as racial slurs. These days there is so little respect and reverence given to those in what were once considered prestigious positions: police officers, teachers, doctors, and even the president. Just as so little respect is given to young black men in particular as the world seems to approach them as guilty until proven innocent. Why did we as a society let a few bad apples spoil the bunch when it comes to these generalizations? 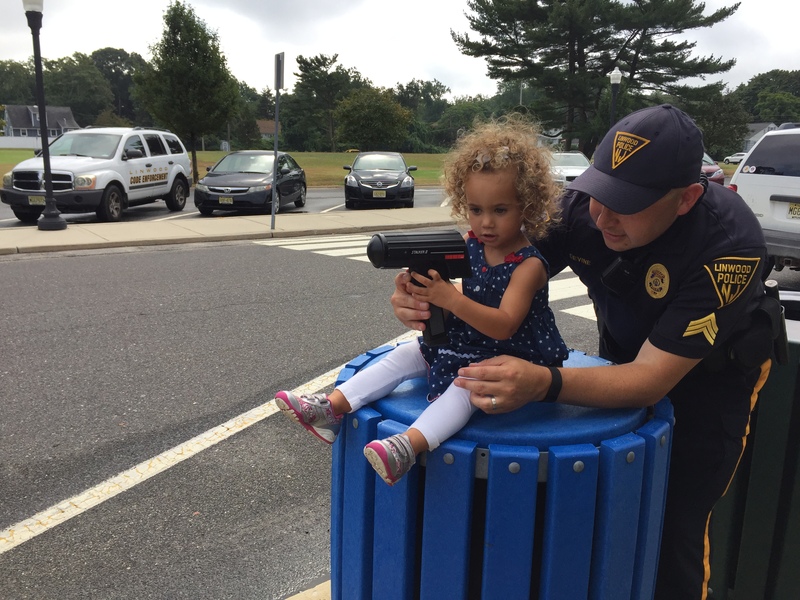 Why are we raising children to think that most police officers are not driven to protect and serve, that teachers are only in it for the pension and summers off, that the internet knows better than most doctors, and that most presidents are figureheads that only push corporate agendas? There’s more to life and more to people than these generalizations. Most terrifying to me is that police officers now have to walk with the added fear that much of the public they serve is skeptical at best. But if you turn off the television, radio, and computers and just look around, you will find goodness in these people, in all people even. I was so deeply moved looking at the photographs again from that horrific moment in American History: September 11, 2001. But this time, after 14 years, I was most captured by the first responders. I saw a photograph of a member of the NYPD comforting a bleeding ash-covered woman. His care and concern amidst the chaos was so beautiful. We, as a country, continue to heal from the September 11 attacks and from the train of questionable police killings. Yet it is important to remember that as we work to root out police officers, who do not deserve the uniform that they wear, that there are far more police officers that serve with pride and deserve our respect for the sacrifices they make for others. 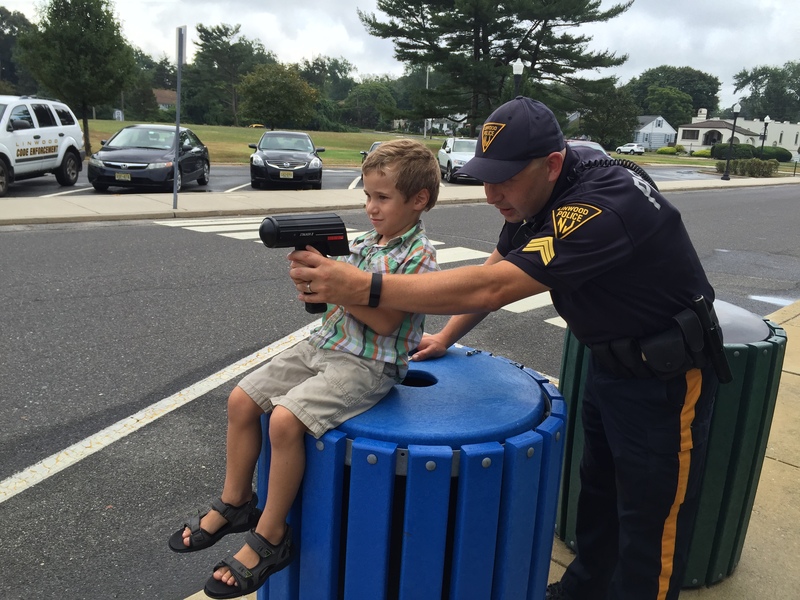 I want to thank Sergeant Tim Devine from the Linwood Police department in Linwood, NJ for giving my four children the royal treatment this week during a tour that I scheduled just for my four children, whom I now homeschool. Sgt. 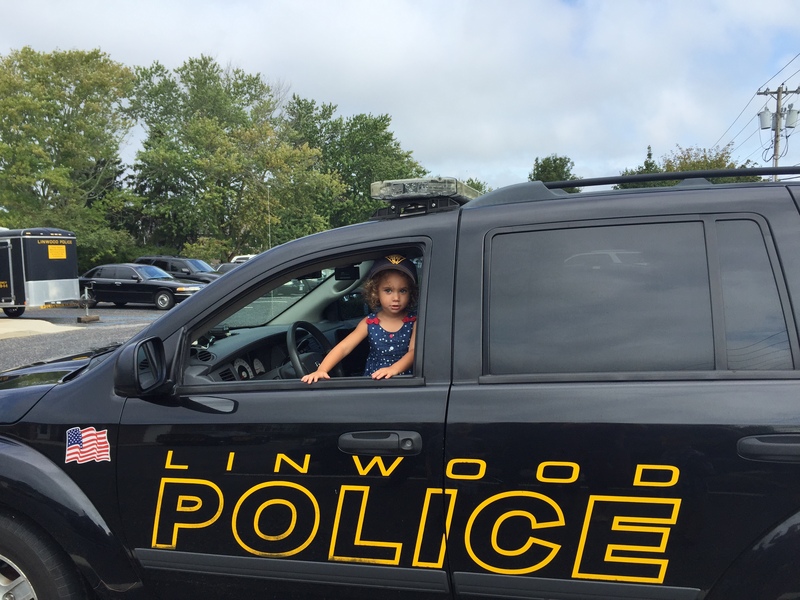 Devine and the other members of the Linwood police did not blink an eye showing a 2,4,6, and 8-year-old the fingerprinting machine, offices, holding cell, and even a very dangerous reindeer Christmas decoration rescued from the town bike path. He popped his hat on the kids and let them sit in the police cruiser, while I took photos. They didn’t just see the radar gun, but got the chance to use it to clock the speed of an officer who drove in a circle 6-8 times to give everyone a turn, including me. 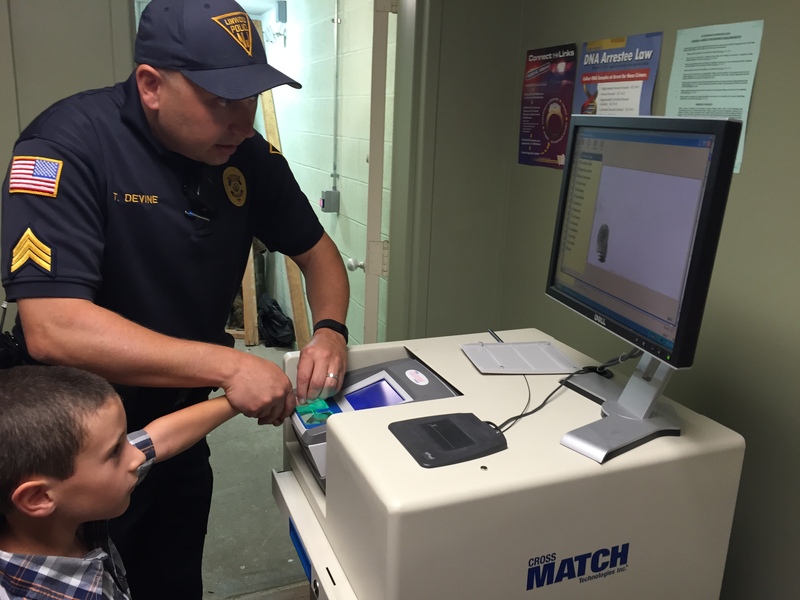 The kids went home with a smile and a copy of their fingerprints to boot! I write this as a reminder that we are all individuals. Maybe too if we stopped scaring our urban youth straight as teenagers and showed them this kind of care and attention at a young age…things could be different…for everyone.